Harris, Carolyn. "Lord Dufferin". The Canadian Encyclopedia, 15 January 2018, Historica Canada. https://www.thecanadianencyclopedia.ca/en/article/frederick-temple-blackwood-1st-marquess-of-dufferin-and-ava. Accessed 20 April 2019. 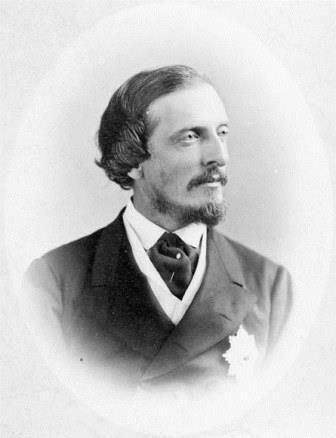 Frederick Temple Hamilton-Temple-Blackwood, 1st Marquess of Dufferin and Ava, governor general of Canada from 1872 to 1878 (born 21 June 1826 in Florence, Italy; died 12 February 1902 in Bangor, Northern Ireland, United Kingdom). Dufferin and his wife, Lady Dufferin, were the first viceregal couple since Confederation to become prominent figures in Canadian society, touring all provinces and meeting with Canadians from a wide variety of regions and social backgrounds. Dufferin set key precedents for future governors general with his extensive travel and granting of academic and athletic honours to Canadians. Dufferin was the only child of Price Blackwood, 4th Baron Dufferin and Clandeboye, and Helen Sheridan. The Blackwoods were prominent Anglo-Irish landowners in what is now Northern Ireland and exerted influence in parliament. The family had received an Irish peerage in 1800, in exchange for their support of the Act of Union between Great Britain and Ireland. Helen’s grandfather, Richard Brinsley Sheridan, was a satirist, playwright, poet and a member of parliament for 32 years, and her sister, Caroline Norton, was a women’s rights activist who lobbied for the passing of the Married Women’s Property Act of 1870. In 1862, Dufferin married his distant cousin, Hariot Rowan-Hamilton of Killyleagh Castle (1843–1936), resolving land disputes between the two families. The couple enjoyed a happy marriage and Lady Dufferin became a popular figure in her own right during Dufferin’s diplomatic postings. The Dufferins had a large family, with seven children surviving past infancy: Helen, Archibald, Terence, Hermione, Basil, Victoria and Frederick. Dufferin was educated at Eton College and Oxford, where he left after two years without completing a degree. He served as a Lord in Waiting to Queen Victoria in 1849–52 and 1854–58, with the Queen pronouncing him “much too good looking and captivating.” Dufferin began his political career in the House of Lords in 1850. 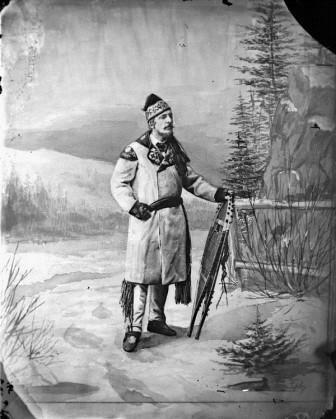 In 1856, he wrote a successful travel book, Letters from High Latitudes, about his travels in Iceland and Norway, which was republished in Canada once he became governor general. Under the patronage of British prime minister John Russell, Dufferin began his diplomatic career in 1855 when he served as Russell’s attaché at the Vienna Conference that attempted to negotiate the end of the Crimean War. Similarly, in 1860–61, he served as the British delegate on an international commission tasked with resolving a civil war in what are now Lebanon and Syria. This was followed by posts as under-secretary for India and in the War Office. Dufferin became governor general of Canada in 1872, accompanied by his wife, Lady Dufferin and two of their five children, Hermione and Basil. The three eldest children — Helen, Archibald and Terence — remained in Britain initially “to learn a little French” before joining them. Their two youngest children (Victoria and Frederick) were born in Canada during Dufferin’s term. Dufferin’s appointment as governor general of Canada saved him from financial ruin following debts incurred for the upkeep of his Irish estates. 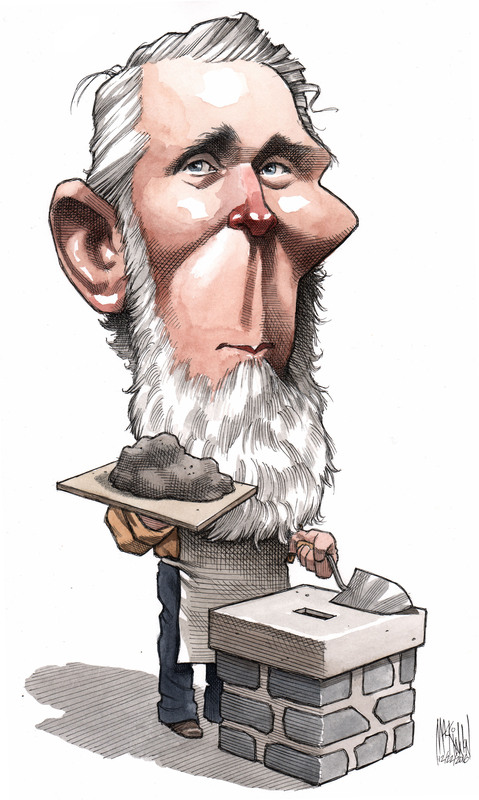 Dufferin was critical of Macdonald’s successor, Alexander Mackenzie, and his Liberal government, whom he considered to be “simply nonentities” and he intervened to strengthen Macdonald’s policies such as support for the Canadian Pacific Railway. An editorial cartoon from the 1875 Canadian Illustrated News depicted Mackenzie and Dufferin as “The Mason and the Overseer,” standing next to a wall of bricks with labels such as “Northwest,” “Railways” and “Quebec Docks,” with the Colonial Office serving as “The Boss.” Mackenzie objected to Dufferin communicating privately with the Colonial Office and the Premier of British Columbia, reminding him that Canada was no longer a crown colony but a self-governing Dominion. 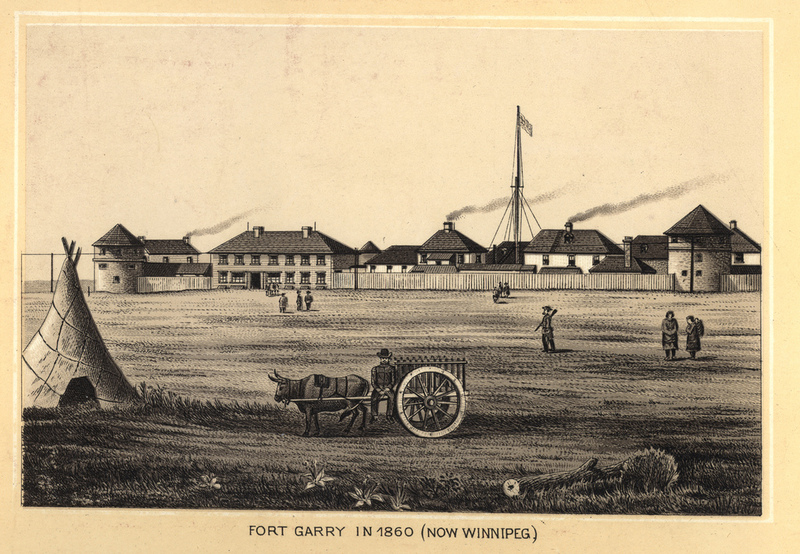 Dufferin was the first governor general to visit every province in Canada during his term, including the newly created province of Manitoba. Lord and Lady Dufferin were known for meeting with Canadians from a variety of social backgrounds, attending agricultural fairs as well as official receptions. Politically, his 1874 visit to British Columbia was especially significant, as he publicly expressed support for Macdonald’s signature initiative, the Canadian Pacific Railroad, stating that he hoped the next time he visited British Columbia, it would be by rail. 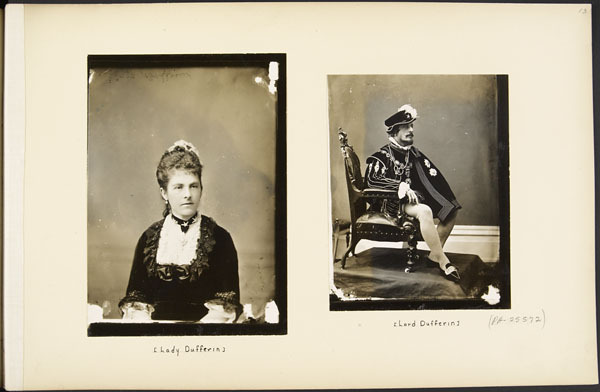 Individual portraits of Harriot Georgina, Countess of Dufferin (May 1878) and Lord Dufferin, Governor General of Canada (February 1876). Dufferin was the first governor general to establish medals recognizing the academic and athletic achievements of Canadians. In 1873, he established the Governor General’s Academic Medals for high school and post-secondary students as well as the Governor General’s Curling Trophy and Governor General’s Match for Marksmanship. 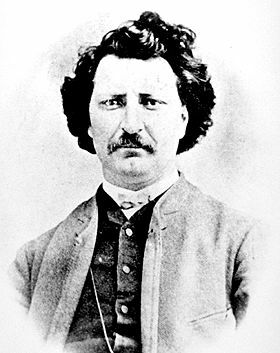 Dufferin intervened in the aftermath of the Red River Rebellion of 1869–70 to prevent the execution of Ambroise Lépine, a Métis military leader and supporter of Louis Riel who was sentenced to death for his role in the shooting of Irish protestant settler Thomas Scott. Although Scott was the son of one of Dufferin’s tenants on his estate in Northern Ireland, Dufferin commuted Lepine’s sentence to two years of imprisonment in response to appeals from French-Canadians in Québec, who sympathized with the Métis. Dufferin considered Québec integral to success of Canada as an independent dominion, stating that French Canada “has in great measure saved the English population from Yankification.” He admired the historical architecture of Québec City and intervened to prevent the destruction of the walls and fortifications, raising funds for their restoration from the city council, province, and Queen Victoria. Dufferin was the first governor general to establish a summer residence at La Citadelle and preside over a regular social season in Québec. By the end of his term as governor general, Dufferin was very popular in Canada, although the acclaim was not universal, as some Canadian politicians and journalists criticized his willingness to interfere in politics and act on his own initiative. Dufferin carefully managed his own image, contributing material to two biographies written to commemorate his departure. Dufferin continued his diplomatic career after leaving Canada, serving as ambassador to Russia (1879–81) and the Ottoman Empire (1881–84). In 1884, Dufferin achieved his ambition of becoming Viceroy of India, where he oversaw the annexation of Burma. In 1888, he became Marquess of Dufferin and Earl of Ava (titles derived from Northern Ireland and Burma). His final diplomatic post was as British Ambassador to France in the 1890s. In his last years, Dufferin was involved in a financial scandal as chairman of the London and Globe financial company; although not aware that the company was swindling its investors, as chairman he was blamed for the losses experienced by investors (including himself). Dufferin died of stomach cancer in 1902. Dufferin Island in British Columbia is named for Lord Dufferin, as are Dufferin streets in Toronto and Québec City. The historic walls of Québec City, which Dufferin saved from demolition, have been declared a UNESCO world heritage site, including the Dufferin terrace overlooking the St. Lawrence River. Dufferin set key precedents for the role of the governor general, including the development of Rideau Hall as a social centre, extensive travels to every province of Canada and recognition of the academic and athletic achievements of Canadians. 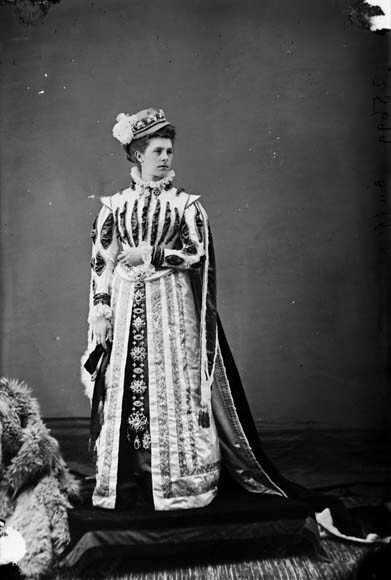 Lady Dufferin, My Canadian Journal: 1872–8 (1891). Andrew Gailey, The Lost Imperialist: Lord Dufferin, Memory and Mythmaking in the Age of Celebrity, (2015). Richard Gwyn, Nation Maker: Sir John A. Macdonald: His Life, Our Times, Volume 2 1867-1891, (2011). Alfred Lyall, The Life of the Marquis of Dufferin and Ava, 2 volumes, (1905). George Stewart, Canada Under the Administration of the Earl of Dufferin, (1878).